The continued collaboration between Optics11 B.V. and Inholland Composites on finding the utility of fiber optic sensors for composite health monitoring has taken an interesting turn. 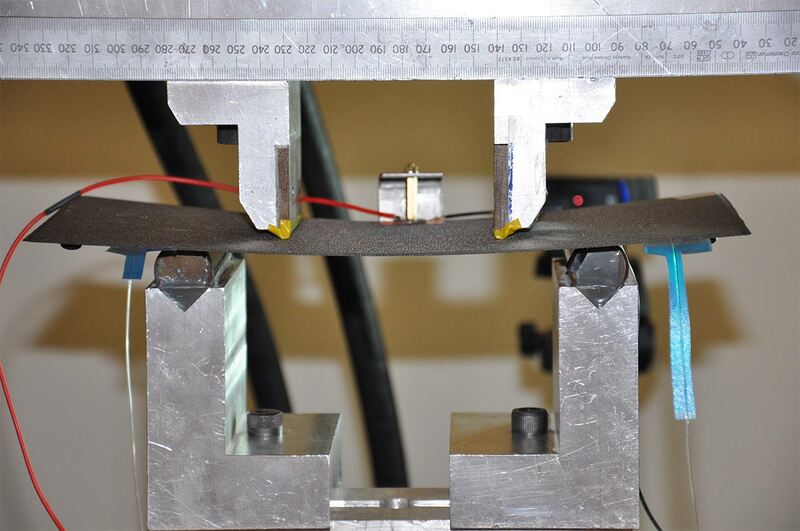 An experimental research was conducted to study the damage detection capability of ZonaSens optical measuring system which has been developed by Optics11. The large sensitive zone formed by an optical fiber between two FBGs when embedded in carbon fiber laminates and integrated with ZonaSens served the basis of measurements. It was utilized in frequency modal analysis, an NDT method which relies on examining the vibrational response of the system through an initial external vibration. Following implementation of an experimental setup, ultrasonic resonance modes were recorded using the system. It was possible due to the high sensitivity which is offered by the measuring system. In addition, monitoring of frequency spectrums obtained from undamaged and damaged samples provided interesting information on the presence of internal flaws in the material such as delamination. Experiments conducted for monitoring acoustic events originating from damage progression in a composite laminate also provided interesting results. The large bandwidth offered by the system allowed for recording events relating to fiber breakage and matrix cracking. 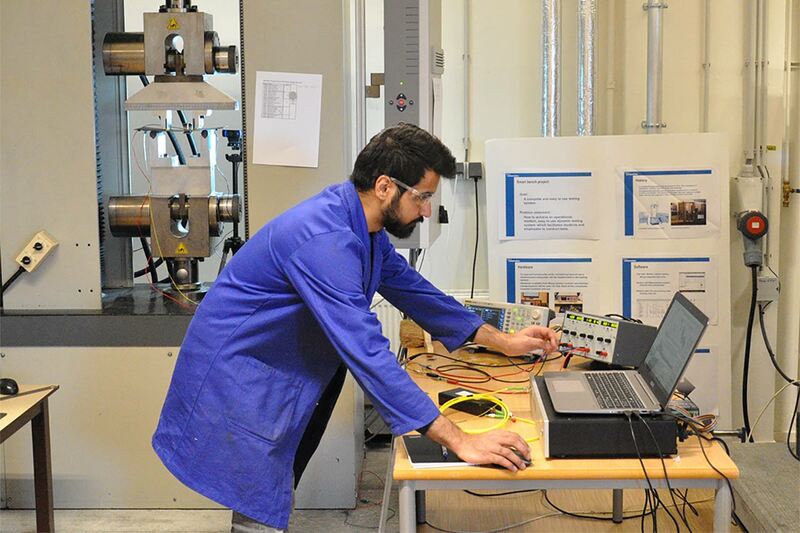 Such tests have confirmed the reliability of the system to serve as the sensing arm for different NDT methods involving acoustic visualization.